Most riders are pretty cut and dried and straightforward, some are outrageous in their demands, and a few are hilarious. This is one of the more hilarious ones, but it spells out Iggy's requirements precisely and forcefully as well. Here's a bit of the text below, but it's about 7 pages long so there's not enough room to include it here. 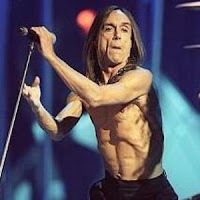 It's a great read though, so click on the link to read Iggy Pop's rider. 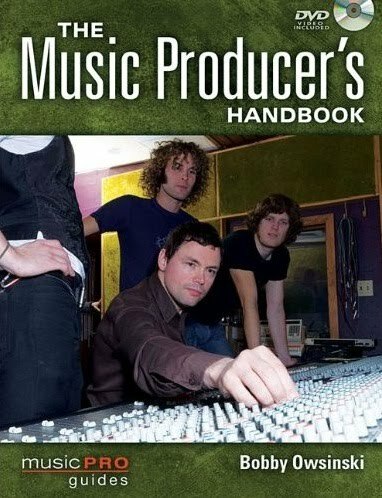 I have a new book coming out later in the year (it was supposed to be June 1 but those release dates never seem to be met) called, "The Music Producer's Handbook," and I thought I'd share a few excerpts from it in some upcoming posts. 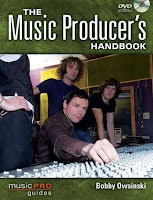 Here's one from Chapter 7 on Preproduction regarding the need for a preproduction demo. You'd be surprised what a quick recording before the actual recording session can accomplish. By the way, the price on Amazon is a misprint. It's NOT $81.15. I don't know exactly how much they'll be selling for (probably in the $25 range) but it won't be that. No matter how well preproduction rehearsals seem to go, it’s really important to make a preproduction demo recording too. Why? You never really know what a player is playing until he’s recorded. Also, getting a band out of its safe and comfortable environment will make them play differently. Psychologically it helps a band to know that when things sound different in a new environment (as they will) that it’s not necessarily a negative thing. The preproduction demo doesn’t have to be expensive. In fact, the cheaper, the better. Even someone’s old 8 track recorder will do, because you don’t care about track count as much as discovering just what each instrument is playing. What you’re trying to learn is how well everyone is playing together and if the arrangements and song structures actually work. Don’t spend too much time recording the demo. A couple of passes of each song at the most is all that’s necessary unless there’s a major train wreck. Performance mistakes are okay, as long as you can hear the complete form of the song. Don’t worry about overdubs or layering except for a quick run through to check out an idea. Perfection is not the objective for the demo, information about the song structure, arrangement and individual parts is. After listening to the recording (even just listening to playbacks while recording), it should be apparent what needs to be fixed or improved, which should take place at another round of rehearsals. It’ll also help the players as they hear what they’re playing against everyone else. It’s not uncommon to hear comments like, “I didn’t know you were playing it like that,” during a playback. The idea behind all of this is to get the parts down so that the real recording be done efficiently with no surprises and the players only need to concentrate on their performances instead of having to learn new parts. Many times, by the time a player learns the new part in the studio, his performance has suffered so much it takes an additional session just to capture a great performance. Preproduction hopefully eliminates that. Here's an interesting video that exposes some of the outright plagiarism used by Led Zeppelin on their groundbreaking first album . I don't won't to keep talking about music that happened 40+ years ago, but it's worth making the point that it's unlikely that something similar would ever happen today. 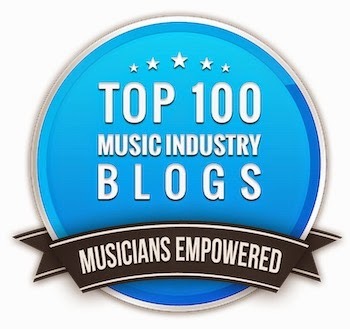 Back in the 60's, 70's, and even in the 80's, publishing was something extremely mysterious to the average musician as well as just about everybody else in the business except the publishers. It was pretty easy to get away with lifting a riff here, a melody there, without getting your hand caught in the cookie jar. Today, everyone is hip to the amount of money that can be made in publishing, and every entertainment attorney is very well-versed in all of its facets. That being said, take a look at the video and listen to the examples of riffs and songs that Zep pinched. Today we'll look at the the isolated bass and guitars (mostly guitars) from Michael Jackson' s 1982 hit Beat It. Let's dive right in. 1) There are 3 players that you hear; Steve Lukather plays the dirty rhythm parts and lead lines in the chorus and the bass (heard here on in the first verse), Paul Jackson Jr. plays the clean rhythm parts, and Eddie Van Halen plays the solo. 2) Most of the guitar parts are doubled. Take notice that they're not exact doubles though; one side is a bit busier than the other most of the time (always a good production practice). 3) Eddie Van Halen's solo at 2:42 is interesting because his guitar track is on the right side while the effects (delay and reverb) are on the right. Credit producer Quincy Jones and engineer Bruce Swedien for coping the sound of early Van Halen records on this solo. They wanted Eddie to play like himself and the best way was to give him the sound that he was used to. Today we're going to take a listen to the isolated drum track on Michael Jackson' s seminal Beat It, one of the many singles off of his best selling Thriller album. Supposedly this 1982 crossover hit was Michael's answer to Quincy Jone's prodding, "Why don't you write something like My Sharona. " 1) Pocaro plays to a drum machine and does so incredibly well. This was especially difficult in 1981 when the tune was cut, since many drummers had a tough time with a click during that era, let alone a full-on drum beat. Today this isn't such a big deal since everyone is brought up playing to loops and tracks, but it was no easy task back then. There are only two places, at 3:31 and 3:47, where you hear the slightest of flams. 2) The drum sound is nothing special. But then again, how could it be with the drum machine in the front of the mix. Engineer Bruce Swedien is the the master of track balances. 3) The drum track is simple and that's what's so beautiful about it. On the other hand, it couldn't be anything else and still work in the song. Tomorrow - more Beat It.